This past weekend the Island Arts Magazine was invited to an opening at Ginger Nine Studio & Gallery in Courtenay. First we received an email from them, then we received a personal invitation in the mail. We had to attend! 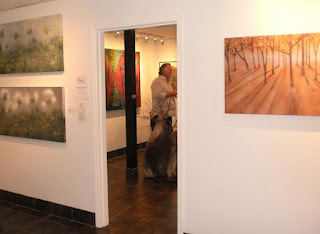 The other rooms are gallery space. A unique "Artist's Emporium" divided into little rooms, houses some of the college student's work. The owner, Tonya, quickly introduced herself to us and began telling us about her vision for the gallery. 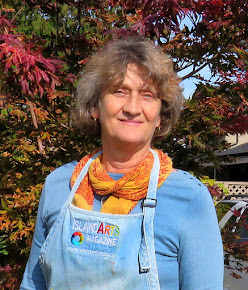 Her very impressive business plan, not only offers a gallery space, but also print services and a "Paint your own" ceramic room, used for kids parties, special events. etc. Future plans include a kilm for firing pottery and a drop in studio space for members. 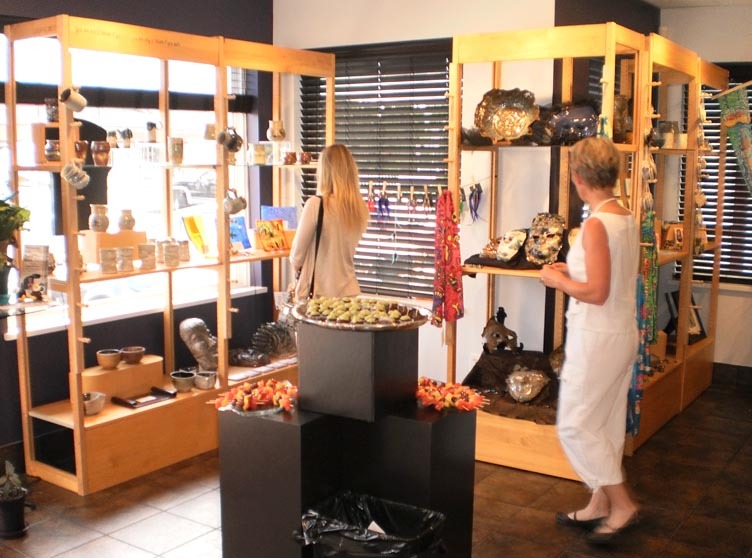 Next time you are in Courtenay, make sure to drop by Ginger Nine Studio & Gallery. You'll be glad you did.The address is 130 - 211 Centennial Drive. Ginger 9 Studio & Gallery thanks you for your kind words!